House Speaker John Boehner announced Monday that Republican Rep. Trey Gowdy will continue as chairman of the special committee House Republicans created last year to investigate the 2012 attacks on a U.S. diplomatic facility in Benghazi, Libya. Boehner chose the South Carolina Republican to lead the special committee last May after the release of emails that shed more light on the way the White House attempted to frame the discussion in the aftermath of the attacks. At the time, Gowdy said he intended to see "see every single solitary relevant material document" related to the attacks. 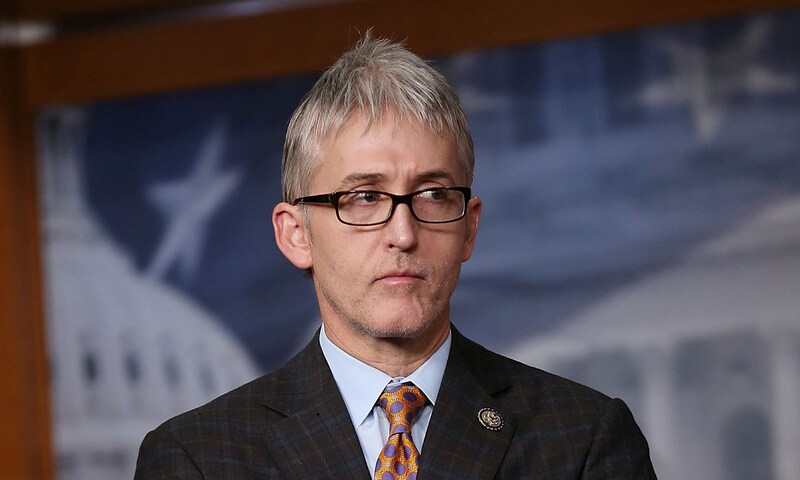 Rep. Trey Gowdy: Benghazi committee must "rise above politics"
"On September 11, 2012, four Americans were killed in a brutal terrorist attack in Libya. Two years later, the American people still have far too many questions about what happened that night - and why. That's why I will reappoint Rep. Trey Gowdy and the Republican members of the House Select Committee to investigate the events in Benghazi in the 114th Congress," Boehner said in a statement. "I look forward to the definitive report Chairman Gowdy and the Select Committee will present to the American people." It's no surprise that Gowdy will resume his role when Congress reconvenes in January, but he'll have some other findings to contend with at that point. The House Intelligence Committee released its own report on the Benghazi attacks last Friday, finding that the CIA and the military responded appropriately, and concluded there was no wrongdoing by Obama administration officials. Not all Republicans are satisfied with that conclusion. "I think the report is full of crap," Sen. Lindsey Graham, R-South Carolina, told CNN on Sunday. Gowdy's committee is will issue the seventh report on the attacks, following investigations by the House Armed Serivces, Foreign Affairs, Intelligence, Oversight and Government Reform committees, the Senate Intelligence Committee and the State Department's Accountability Review Board. The panel has a budget of $3.3 million and is expected to hold its second hearing later this year. The other members include Republican Reps. Susan Brooks of Indiana, Jim Jordan of Ohio, Mike Pompeo of Kansas, Martha Roby of Alabama, Peter Roskam of Illinois and Lynn Westmoreland of Georgia, and Democrats Elijah Cummings of Maryland, Adam Smith of Washington, Adam Schiff and Linda Sanchez of California and Tammy Duckworth of Illinois.